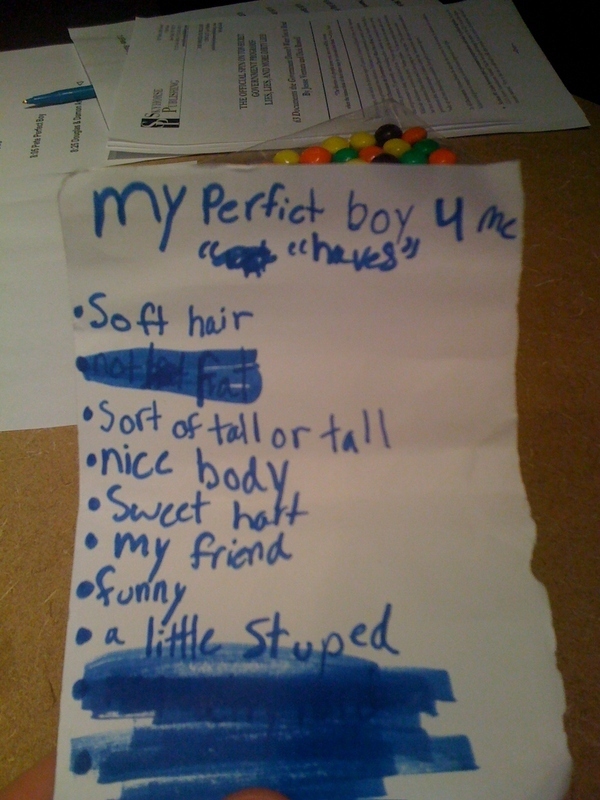 This is some little girl’s (I hope) list for a a perfect boyfriend. Aside from the “a little stuped” I’m with her and think that she may have even meant ‘a little’ as opposed to the ‘a lot’ that she knows. Boys will be boys sometimes, as we all know, and maybe they’re pulling her pigtails on the playground.